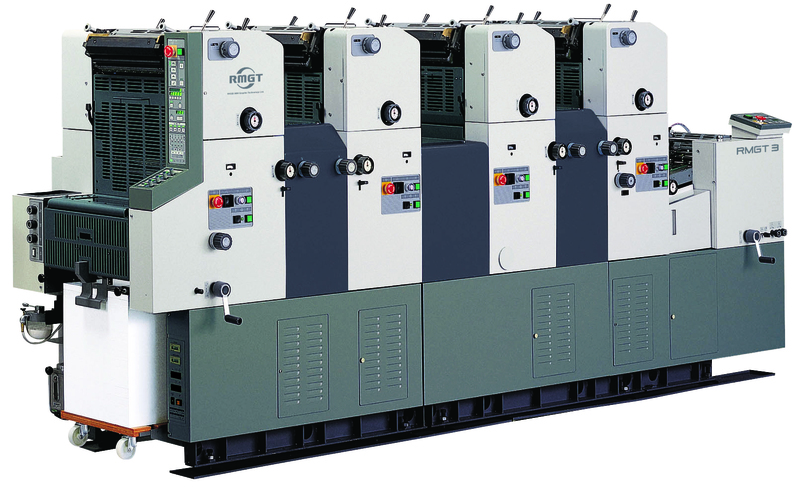 The RMGT 3 Series is an A3-size portrait format offset press designed to meet market needs for multiple colors and digitalization. Using a satellite V-shaped five-cylinder arrangement, the body of the press takes up only 3.8 square meters of floor space. This offset press can easily handle PS, polyester-based, and other plate materials for economical four-color printing.